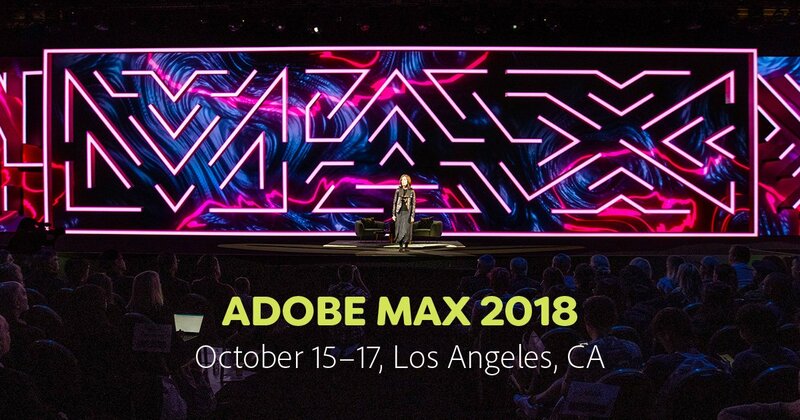 Last month was all about user experience and interface design at Adobe MAX, featuring more than 150 speakers from different creative industries. This year’s focus? Designing new interfaces and experiences that go beyond the screen. Adobe XD stole the show on day one when principal designer Khoi Vinh announced XD would be the first UI/UX platform to include voice prototyping. Adobe MAX is a massive conference for multi-disciplinary creatives. It’s also an opportunity for Adobe to announce product updates and get feedback from their core users. It’s also a great opportunity for people to get a quick snapshot of the creative industry – emerging fields, popular trends, and which tools the professionals are using. 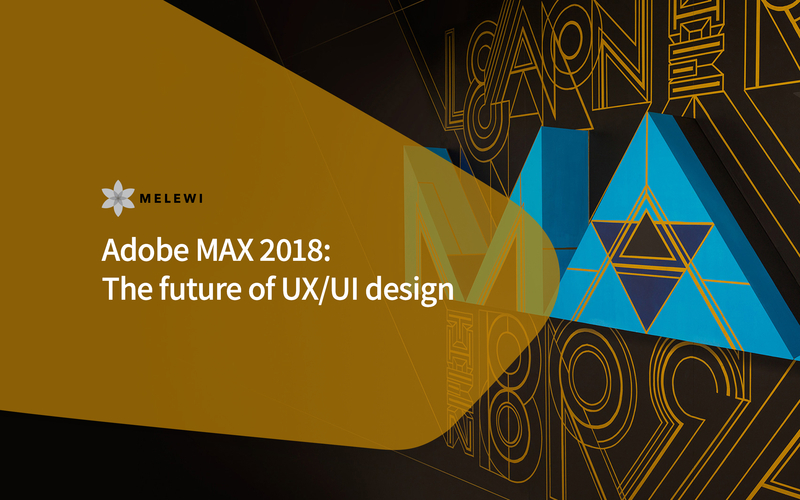 Naturally, UX/UI design has become a major focus at Adobe MAX over the last few years, so Adobe took some time to announce some major updates coming to Adobe XD. As more digital experiences take place off-screen, Adobe XD wants to help designers stay ahead. With the rise of devices like Amazon Alexa and Google Assistant, getting into voice prototyping is starting to make a lot of sense for the modern designer. 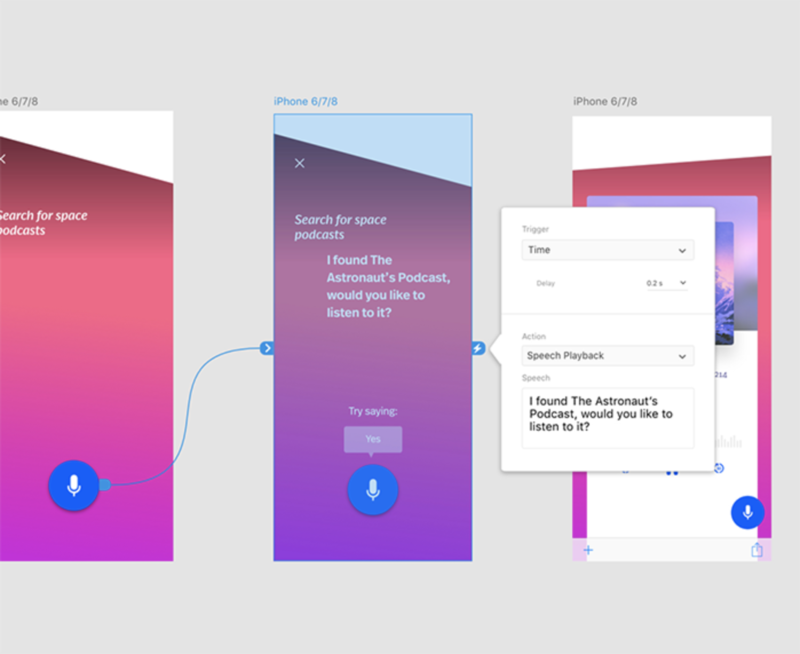 The team behind Adobe XD showed just how much they’re paying attention by becoming the first platform to launch voice prototyping. 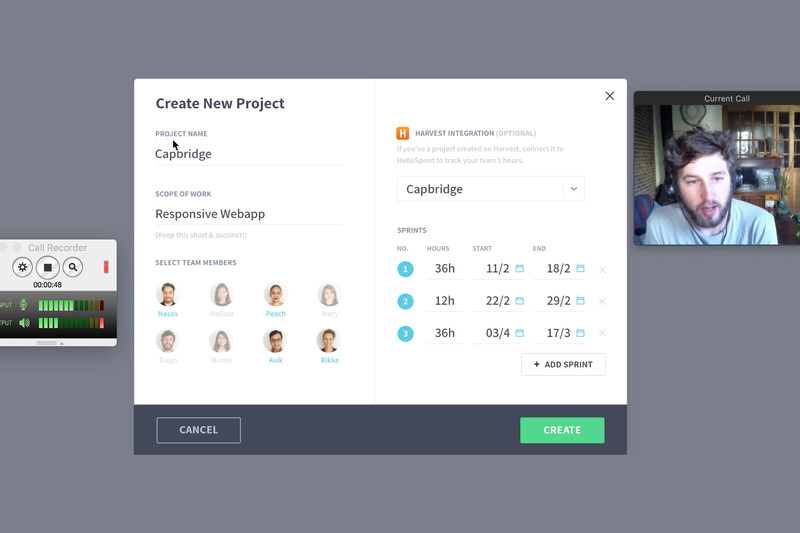 If designers want to build the future, they need the right tools. Animations aren’t just for style points. They can also make your user interfaces a lot easier to understand. 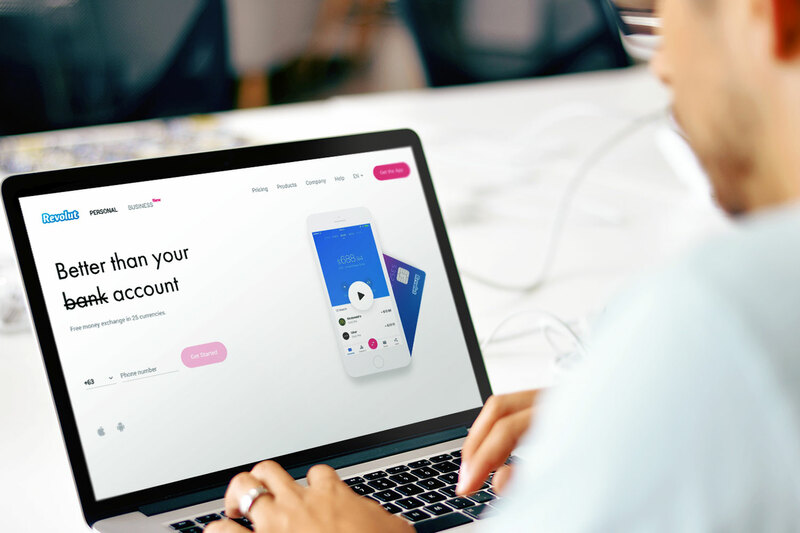 Animations can be used to highlight alerts, emphasize different selection states, guide users through a new screen, and enhance the overall flow of your experience. Now, Adobe XD has introduced Auto-Animate, and Drag Gestures – two new features that help designers bring their prototypes to life without leaving the app. Auto-Animate detects changes in object sizing to create smooth transitions between artboards. Drag Gestures is exactly what it sounds like: now designers can simulate users dragging their fingers to slide through image carousels and cards. Another cornerstone update to Adobe XD is the ability to create custom plugins and app integrations. Developers can now build custom plugins for Adobe XD and custom tailor app integrations to fit their team’s unique workflow. There’s not too much on this feature at the moment, but it will definitely be interesting to see what third-party plugins and apps are going to hit the market for Adobe XD. Responsive resizing helps designers save time by predicting which constraints you’re likely to set and establishing relationships between objects in close proximity. You can also group objects and set constraints manually if you need to. It’s best to use responsive resizing when you’re working on similar assets that require multiple different dimensions, say banner ads or UIs for multiple different screen sizes and orientations. While Adobe’s design platform isn’t perfect, it’s definitely starting to have its benefits. Adobe XD still isn’t as robust or widely used as Sketch, but being able to do an entire design project in a single app is pretty promising. Want to hear directly from one of the designers from Melewi? Rikke gave us her thoughts on Adobe XD’s future in the latest edition of The Melewi Standup. Click the link to give it a read!